With changes to bonus depreciation in the Tax Cuts and Jobs Act (the Act), cost segregation has now become an essential ingredient for commercial real estate owners and investors to quality for additional tax savings. The Act includes two significant revisions to bonus depreciation. Under current law, bonus depreciation increases from 50% to 100% on qualified property acquired after Sept. 27, 2017. And perhaps the most dramatic change, the Act also extends bonus depreciation tax benefits to qualified used property. This is the first time qualified used property (property that has been used by previous owners) has been included in bonus depreciation since preliminary provisions were passed in the Job Creation and Worker Assistance Act of 2002. Historically, bonus depreciation applied to owners and investors who constructed or purchased new property. In this new tax landscape, qualifying assets on both new and used property with a MACRS life of 20 years or less are eligible for 100% bonus depreciation in the assets’ first year of service. With these recent changes, cost segregation is now considerably more valuable. Owners and investors now have a ripe opportunity to reduce their tax burden by identifying assets that qualify for accelerated depreciation. 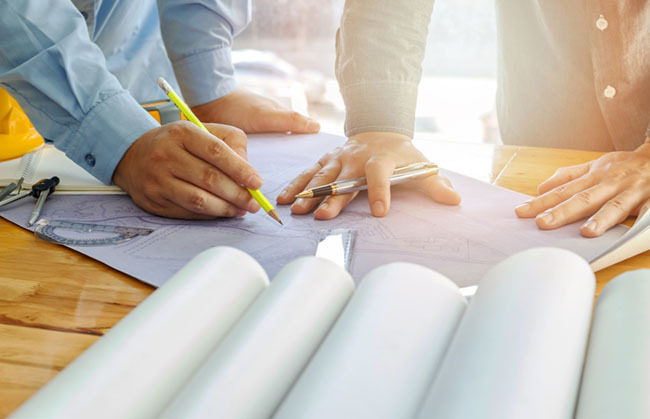 Often when constructing a new building, undergoing a major remodel or acquiring used property, a cost segregation study allows a taxpayer to identify assets that are being depreciated as 27.5 or 39-year property and reallocate them to five, seven or 15-year personal property. This reallocation accelerates depreciation deductions and reduces tax liability in the beginning phases of the real estate ownership. For example, a taxpayer purchased an apartment complex in April 2018 for $5 million. A cost segregation study concluded that $300,000 can be reallocated to 15-year land improvements and $200,000 can be reallocated to five-year personal property. According to current law, the total amount qualifies for 100% bonus depreciation, which allows the taxpayer to deduct $500,000. At a 35% rate, the taxpayer is saving $175,000. Bonus depreciation is slated to be phased out beginning in 2022, with a 20% reduction every year until it expires in 2027. There are a number of new opportunities aligned with the Act’s passage. If you are a commercial real estate owner or investor, it is important to take advantage of these tax benefits while bonus depreciation is maximized and expanded into qualified used property. Contact me at (805) 963-7811 or bforeman@bpw.com with any questions regarding these changes or to get started on a cost segregation analysis.